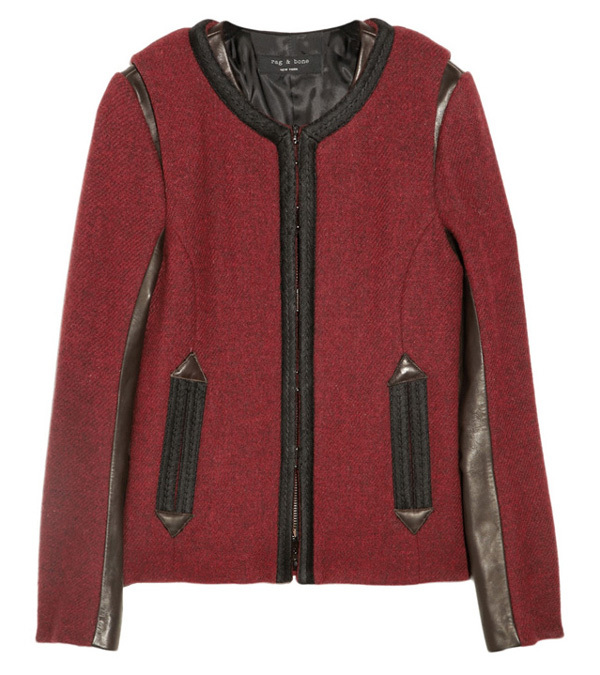 I should really be thinking about coats this time of year, not jackets, but I spotted Rag & Bone's Taj Jacket on a recent lunchtime trip to The Tannery and fell head-over-heels in love. With a removable red wool vest over a brown leather underlay, it's two pieces in one and the perfect transitional garment for fall. Now, I just need to bide my time until it goes on sale. That jacket is seriously fabulous. You'd look so fly in it. What a great autumn color! First of all, Rag and Bone is just killing it lately. I want absolutely everything. Second, this jacket is all sorts of goodness. The color is gorgeous and I love the different textures. Marissa, will you be going to the blogger meetup on the 4th? Would love to see you! It's been FOREVER! How are you? I haven't seen you in forever!